Dry seeds in sealed containers stored at 3 to 5 C.
Water regularly at least through first growing season. Container grown seedlings are large enough for transplanting after 1 growing season. Hosokawa, J., D. Wick, and T. Luna. 2001. 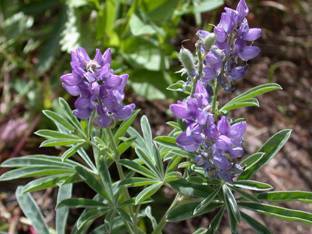 Propagation protocol for production of container Lupinus sericeus Pursh. plants (172 ml conetainers); Glacier National Park, West Glacier, Montana. In: Native Plant Network. URL: http://www.nativeplantnetwork.org (accessed 9 May 2003). Moscow (ID): University of Idaho, College of Natural Resources, Forest Research Nursery.